As the UK enjoys its traditional 5 days of summer it’s time once again for HYPER JAPAN to open its doors for another weekend of the best of Japan. As the UK’s biggest celebration of Japanese culture, cuisine and entertainment, Hyper Japan has been bringing the best of both traditional and contemporary Japan to tens of thousands of visitors since 2010. 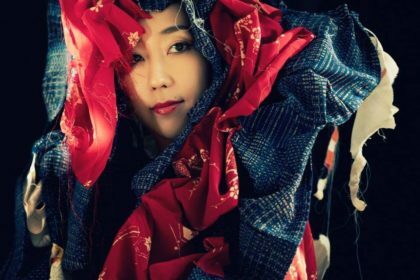 The summer event serves up Hyper Japan’s usual diverse mix of Japanese traditions and more modern pop culture, including some special music guests. 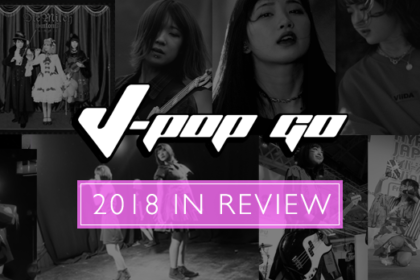 This year the musical line-up features Charisma.com, Azumi Inoue, Broken Doll, Less Than Love, Mayuko and ALYS – the world’s first ever Franco-Japanese virtual singer. Although they had been friends at school, it wasn’t until Itsuka and Gonchi left that the pair entertained the idea of doing music together. The result was CHARISMA.COM – a curious combo of electronic music and rap that took inspiration from Japanese hip-hop outfits such as Astro. Charisma.com’s own particular style of electro-rap is fuelled by a particular aggressive approach to the lyrical content, such as their classic tune ‘Hate’. The insistent electropop beat of ‘Hate’ underpins a litany of bitching, which rapidly became Charisma.com’s stock in trade. The belligerent approach that Charisma.com employ also carries over to their visual style. Formed in 2006, BROKEN DOLL are a four-person outfit with Sachi on vocals, guitar and chorus by Kensuke, Yuu on bass, and Takaki on drums. The band combines the latest in Harajuku fashion with a pop-punk approach to tunes. 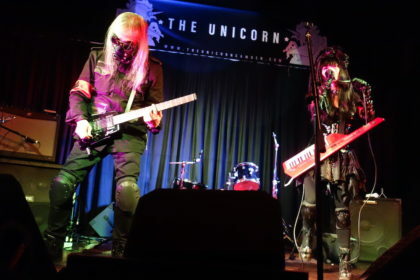 The band came over for Hyper Japan in 2014 and introduced audiences to their particular brand of energetic rock which formed part of their Reach For The Sky album. 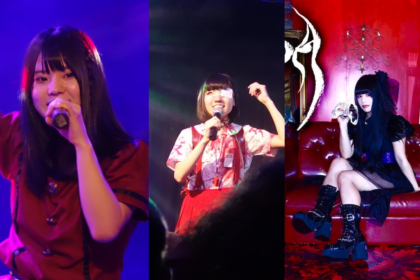 Broken Doll have also taken their sound global with a successful 2014 Australia tour and a 2015 Brazil tour. Less than Love is a music project which began in 2011, with Yucha (aka Yukari Inada) as the star of the show. Less Than Love performs all over Japan, both as a solo artist accompanied by a DJ, and as the lead vocalist in bands whose sounds range from ska to pop-rock. She has recently gained a reputation overseas appearing at Taiwan’s Spring Scream Festival and touring around East Asia. Less Than Love found a warm reception at Hyper Japan’s 2015 event and is sure to win over new fans this summer. This blue-braided virtual singer is already a veteran of over ten musical festivals across Europe – and makes her UK debut at Hyper Japan. Get ready for some virtual pop goodness at the HYPER Theatre as ALYS performs a selection of songs from her debut album Eveil and more! ALYS is the world’s first ever Franco-Japanese virtual singer. Designed by illustrator Saphirya, ALYS is powered by Canadian singing synthesizer Alter/Ego by Plogue Art et Technologie. Following the success of Eveil, ALYS is currently getting ready to release her second album, Espoir. The ALYS performance will also feature guest guitarist Lightning. 1st PLACE, the company behind the Japanese artist born from Vocaloid technology, IA, is returning to Hyper Japan after a triumphant 2015 appearance. IA’s voice source is Lia, a Grammy-award winning artist who has sung a number of anime theme songs. At her launch, IA won first place in the Amazon music production software rankings, and related videos now have over 100 million views online. IA’s full-scale launch as an artist was in 2013. Boasting the largest sales for a Japanese motorsports “SUPER GT” official theme song for the second year running, there was also a collaboration with the game GROOVE COASTER, the hit anime Mekakucity Actors, and a CD included with the last volume of the Evangelion Manga. More than 47,000 people watched a live web-streaming IA anniversary event last year. IA’s activities aren’t limited to Japan: she’s sold out live events overseas, including a very popular stage show at last year’s Hyper Japan Christmas Market! Since February 2016, IA 1st Live Concert in Japan -PARTY A GO-GO- has been screened in anime conventions and cinemas around the world. If you want to get in on the IA action, you can buy official goods from the 1st Place sales booth! Yuna Yabe, Beckii and Domobics with MOSHI MOSHI NIPPON! 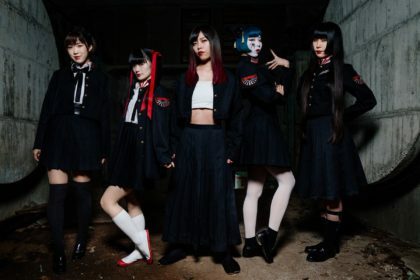 ASOBISYSTEM’s MOSHI MOSHI NIPPON project will be taking to the HYPER Live stage on Sunday on their mission to spread Japanese pop culture around the world. There’ll be a live talk session by popular Harajuku model Yuna Yabe, known for her appearances in Zipper magazine. 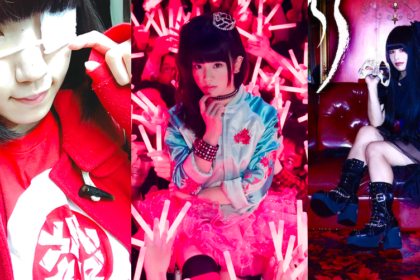 Plus, they’ll be collaborating with NHK World to bring Beckii as well as 10 other kawaii enthusiasts in order to demonstrate Domobics and give a lesson afterwards, where each model will be participating in an ensemble of their own choosing! Singer airly momoco will be gracing the Hyper Japan stage in full princess regalia! Performing a selection of selection of idol songs, original ballads and pop songs, she will be on the Main Stage on Friday and Sunday. First rising to fame as a 12th generation Mini-Suka Police member, airly momoco launched a successful gravure career which quickly paved the way for a busy schedule as a television personality. In 2006, she realised her childhood dream of becoming a singer where she found success on the French music channel nolife. airly momoco currently divides her time between between Japan and Europe, where she tours across Europe from her base in France. Finding his calling as a musician from the tender age of 10 as he performed on the streets of Japan, Takaaki Konno is a “total sound artist”, involved in every possible aspect of music. After a successful start, he experienced a major setback when he was involved in a serious accident, resulting in multiple fractures and injuries. Vowing to come back, he went on to release his first album Reference in 2000, set up his own production agency in 2004, and a second album Revenge in 2005. Over the past 10 years, he has been active not only as a musician, he has also been active as a producer, finding new talent and working with musical legends such as jazz doyenne Toshiko Akiyoshi. Other guests include the voice of Studio Ghibli tunes Azumi Inoue (and daughter Yuyu), Hibiki Ichikawa & Akari Mochizuki, MIOU, Esprit D’Air and Mayuco. Hyper Japan will also have plenty of traditional Japanese cultural events, displays and performances on hand to keep you occupied if you’re all J-Popped out. Check out the details and handy timetable on the Hyper Japan website for all the info. Hyper Japan runs from Friday 15th July through to Sunday 17th July.